Exploring the nature of Britain's changing communities, journalist Zubeida Malik meets Raja Tahir Masood, a chronicler of Peterborough's Pakistani community. Zubeida Malik is a journalist who works mostly as a reporter for the Today programme. For two weeks she's taken over the One to One microphone to explore the nature of Britain's changing communities. 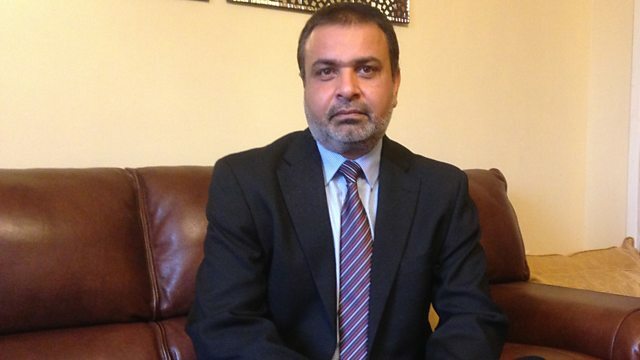 Today's interview is with Raja Tahir Masood, a chronicler of Peterborough's Pakistani community. Originally from Pakistan, Masood has lived in Peterborough for forty years. In that time he's worked closely with the Pakistani community and has seen it grow and change. He's also seen new immigrants arrive in Peterborough, from southern and eastern Europe.